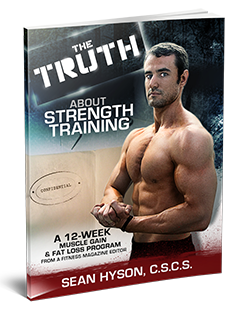 I know you’ve heard that eggs are the most perfect muscle-building food from just about every fitness authority who ever lived, from Jack LaLanne, to Arnold, to Richard Simmons and Bob Harper. But it’s wrong. And yes, I know I’ve recommended eggs myself in the past, and to tell you the truth I still eat them. But now they’re more of an indulgence than a staple in my diet. The egg is a source of complete protein. That means it has all the amino acids your body needs to get from a food. Unlike the protein in most beans, grains, and vegetables, eggs are highly “bioavailable”, so they can be absorbed and put to work quickly for building muscle. Eggs are also cheap. Much more so than chicken breasts, steak, or a container of protein powder. I believe that this is the main reason why they’ve been embraced by muscle-seekers for generations. Rocky ate raw eggs for breakfast because it was all he could afford. Believe me, if he had his druthers, he would have started the day with a catered meal of filet mignon and mashed potatoes, but that wouldn’t have made him a very likable protagonist. 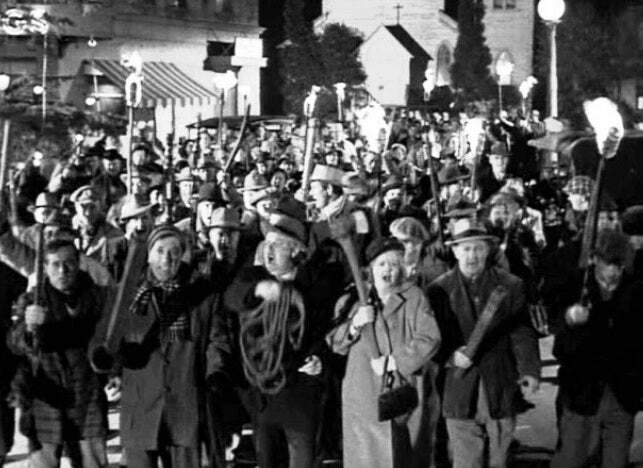 An angry mob seems to form every time I suggest not eating eggs. Despite all these good things, the problem with eggs lies in their fat content. But hold on, I’m not going to tell you that the saturated fat in egg yolks is bad for your heart and shouldn’t be eaten. It’s not the TYPE of fat or even fat itself that’s the issue. It’s the AMOUNT of fat. There’s no way around it. Eggs have a lot of fat. One large egg (it doesn’t matter if it’s white or brown, pasture-raised or not) has 5 grams of fat. It also has 6 grams of protein. Now that’s great, but let’s not gloss over the five grams of fat. Think about it. There’s almost as much fat in an egg as there is protein. And it adds up fast! Eggs are small. You’re bound to eat at least three in a sitting. Hell, you can’t even make an omelet without using at least three eggs. So right there that’s 15 grams of fat. “So what?”, you say? Well, let’s look at how much fat a typical guy should eat in a day. A 180-pound man who wants to lose fat should aim to consume about 50g of fat in a day. (Most women will need even less.) So if you have 3 whole eggs for breakfast, you’ve eaten up almost a third of your fat allowance for the day already. That can be a big problem when you consider that most of your other protein foods—chicken, beef, and fish—have at least a little fat in each serving. This is where most of your protein is going to come from, and where most of your fat SHOULD come from—as a byproduct of your protein consumption. Most dieters really enjoy some peanut or almond butter, too, because it’s one of the few dessert-like foods you can eat on an abs diet. But nut butters have almost 20g of fat in a serving. And if you use oils like coconut for cooking, or olive oil on your salads, that’s another 15g per tablespoon. So pretty soon that “small breakfast” and “quick snack” and “little bit of oil just to grease the pan” can add up to a lot of calories that keep you out of the deficit you need to lose fat. Only Cool Hand Luke could eat 50 eggs and keep his abs. Remember, one gram of fat has 9 calories. More than twice what a gram of protein and carbs have each. Calories count ABOVE ALL ELSE. It doesn’t take much to overeat when you’re eating fats. So what’s the solution? Well, you can do what bodybuilders do and toss the yolks so you’re just eating the whites, which are all protein and fat-free. But then you’re basically throwing money away, which defeats the purpose of eggs as a cheap protein source. You’re also throwing a bunch of protein out with the yolk. There’s roughly 3 grams in the white and 3 in the yolk, so cutting the fat takes half the protein with it. Eat fewer eggs. Two or three a day, depending on your size and your needs, is probably plenty. They’re tasty and quick to prepare, but they’re too fatty to consider as a major protein source. Furthermore, they just don’t have that much protein. A palm-sized piece of chicken has 25g protein, about 1g fat, and is considerably more filling. Stop cracking and start grilling. A good compromise is to mix whole eggs with egg whites. I purchase both and mix them for the reasons you mentioned. Congrats on the click-baity title. Regardless of fat content, eggs are still a great source of protein, which is what you need to build muscle. Now, if you want to build muscle AND lose fat, then yes, eggs might be a bad choice. But eggs definitely help build muscle, only you MIGHT also build fat. Not everyone is obsessed with having a super lean, shredded body. Some people just want to get stronger.